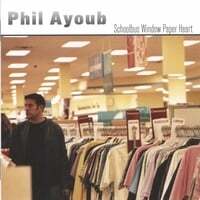 Phil Ayoub's Schoolbus Window Paper Heart was one of my more recent pleasant surprises, having picked it up over the holidays. The record was produced by one of David Gray's sidemen, but frankly it's better than any David Gray record I've heard. This is great singer-songwriter stuff, in many places worthy of my holy trinity of Josh Rouse, David Mead and Freedy Johnston. The standout track, "River to Ocean", though, is jangly power pop bliss reminiscent of Michael Carpenter. There's hardly a weak track in the batch on this one.